In the recent past China’s maritime strategy was based on a network of ports in relation to its sea lines of communication (SLOC) which was referred to as, ‘The String of Pearls’. This name originated from a US Government report on energy and is now commonly used in India to refer to China’s grand maritime design to encircle India. However, this is vehemently denied by China in every relevant forum including in the recent seminar conducted by the National Maritime Foundation on “Evolving Dynamics of the Indian Ocean”. China has clarified that this network from Port Sudan to Mainland China is only to guard their commercial and energy interests but this statement is questioned by many as the network also includes building of naval infrastructure. No doubt that Chinese SLOC runs through many choke points like the Straits of Mandeb, Malacca, Hormuz and the Lombok Strait, some of being infested with terrorists and pirates. India gets touchy as the network includes Pakistan, Sri Lanka, Bangladesh, Maldives and Somalia which literally encircles and brings closer China’s maritime might. There is also a buzz going around the concept of “Maritime Silk Road” which first emerged during an address to the Indonesian Parliament by President Xi Jinping’s in October 2013. The idea of Maritime Silk Road was to increase maritime cooperation between China and the ASEAN countries and would involve diplomacy and economic development. The String of Pearls concept is a direct result of China’s stupendous economic growth and requirement of energy to sustain this growth. 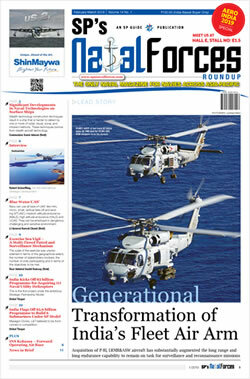 To sustain the momentum of its economic growth, China is increasing its geopolitical influence to all regions of its interest to access ports and airfields, modernise its military power to match its global interests and inculcate stronger diplomatic relations with its trading partners and allies. China has history of expanding its maritime influence. In the recent past starting with the South China Sea in the 1970s, it has progressed to East China Sea, Near Sea around Japan and Western Pacific region, North Pacific Ocean and the Indian Ocean. It is also increasing its maritime power by acquiring superior operational capability, acquiring tools for strategic deterrence, developing counter-attack capability, planning for Anti-Access/ Anti-Denial capability, etc. The Chinese Government insists that its maritime expansion is purely for peaceful purposes and protection of its trade. However, countries like India, Japan and Vietnam who have territorial disputes with China, see red when foreign ports near them are being developed by China and are not convinced that they are purely for commercial operations. Examples are ports around India like Gwadar in Pakistan, Colombo and Hambantota in Sri Lanka, Chittagong in Bangladesh and ports/naval facilities in Mynamar which are obviously meant to contain India. Gwadar Port. Gwadar is strategically located between three important regions of the world to include oil-rich Western Asia (located on the Gulf of Oman and close to the mouth of the Persian Gulf), heavily populated South Asia and the economically emerging and resource-rich Central Asia. The deep-sea Gwadar Port is seen as a regional hub, serving commercial traffic to and from Central Asian states and Afghanistan, the Middle East, the Persian Gulf, Xinjiang, Iran and South East Asia. A road from Gwadar to Saindak gives the landlocked Central Asia easy access to the sea for shipping their oil and gas reserves to the global markets. Central Asian republics are blessed with mineral wealth and trained manpower. China also benefits as the port reduces the overland distance by about 50 per cent from its landlocked western provinces to the sea thus can be used as its port of entry to supply energy for these regions. Gwadar Port is another project which reinforces Pakistan and China’s friendship which is considered higher than Himalayas, deeper than Indian Ocean and sweeter than honey. China Connection. Pakistan and China had signed an agreement on March 16, 2002, at Beijing for the construction of Gwadar deep seaport of international standards. The work was undertaken by Chinese Harbour Engineering Company. The total cost of the project was estimated at $1.16 billion, major cost of which is shared by China. China has invested $198 million and Pakistan $50 million to finance the first phase. China also has invested another $200 million into building a coastal highway that will connect the Gwadar Port with Karachi. The estimated cost of the second phase is $526 million which include the construction of nine additional berths and terminals. To improve land connectivity between Western China and Central Asia, Pakistan is building land links to Afghanistan from Chaman in Balochistan to Kandahar in Afghanistan. In the north-west also similar land links are being built between Torkham in Khyber Pakhtunkhawa and Jalalabad in Afghanistan. The port will also have an air defence unit, a garrison and an international airport. Gwadar Port started cargo handling from March 15, 2008. 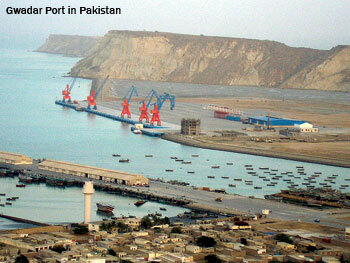 Pakistan has also handed over the operations of Gwadar Port to China on February 18, 2013. It brings China virtually to India’s doorstep. Sri Lanka has started coming closer to China since the end of its civil war in 2009 and taking its help to develop its infrastructure like roads, airports and ports. After the visit of Sri Lanka’s Minister of External Affairs to China, to meet his counterpart, China’s Foreign Ministry made a statement that the leaders agreed to “fully expand maritime cooperation and jointly build the Maritime Silk Road of the 21st century.” China is expanding and modernising Colombo Port and developing another port on Sri Lanka’s south coast at Hambantota. Chinese warships break their voyage while on their way to Pakistan or for anti-piracy operations in the Gulf of Aden. Colombo Port. China is developing a shipping hub just 320 km from India’s southern-most tip by expanding and modernising Colombo Port which is old and congested. Towards this end China is building a new container terminal called the Colombo South Container Terminal (CSCT) which is being built by the Colombo International Container Terminals Ltd. (CICT). CICT is a joint venture company between China Merchants Holdings (International) Co. Ltd., (CMHI with 85 per cent ownership) and the Sri Lanka Ports Authority (SLPA with 15 per cent ownership). CSCT has a planned capacity of 2.4 million twenty-foot equivalent unit (TEU) and operates under a 35-year build, operate, and transfer agreement. The construction commenced in December 2011, with the first phase became operational for traffic on August 8, 2013. The CSCT is likely to be operational in 2014. The Port of Colombo has a current capacity of over 4.5 million TEUs, which will increase by another 7.2 million TEUs in three separate phases. This will make Colombo Port one of the world’s 20 largest container ports in the world. Colombo is a “trans-shipment” hub for India as 13 per cent of India’s container traffic travels via Colombo. Larger ships unload containers at Colombo and feeder boats trans-ship them to India’s smaller and often obsolete ports. When new terminal operates at full capacity then its capacity to India may grow to 28 per cent. This raises security issues for India as China runs this port and can thus hinder smooth movement of essential goods during crisis. Port of Hambantota. Port of Colombo is geared for container handling thus is unable to provide facilities for port-related industries and services. To access these services, ships had to take a long detour of three or more days. A new port was thus required to provide these services and also ease out the pressure on Colombo Port. A site near the city of Humbantota was selected as it had a natural harbour and was located on the southern tip of Sri Lanka close to international shipping routes. The Port of Hambantota project was finally launched after Mahinda Rajapaksa, who is a native of Hambantota, was elected President of Sri Lanka in 2005. Construction of this port started on January 15, 2008, by the Chinese companies—China Harbour Engineering Company and Sinohydro Corporation. The total cost of the first phase of the project is estimated at $360 million, 85 per cent of which is being provided by the Chinese Government and the remaining 15 per cent by the SLPA on similar lines of CSCT. The first phase of the project was completed by November 2010. The second phase will include a container terminal and the third phase will include a dockyard. On completion, the port will be able to accommodate 33 vessels at any given time, making it the largest port in South Asia. Port of Humbantota can also provide a naval base in the close proximity of India. Kyaukpyu. Xi Jinping, former Vice President of China had signed an agreement during 2009 on cooperation between Myanmar’s Ministry of National Planning and Economic Development and Citic Group of China for the Kyaukpyu Economic and Technological Development Zone, deep-sea port and railway projects. Kyaukpyu has the advantage of its strategic location that can connect China, India and Asean. All the existing ports in Myanmar including Yangon Port are river ports and not deep enough for large conventional and container vessels. Construction is likely to be completed very soon of the oil and gas terminal which will be linked to an oil and gas pipeline to Yunnan. The Ministry of Energy had signed in 2009 the original memorandum of understanding for the development, operation and management of the Myanmar Crude Oil Pipeline with China National Petroleum Corporation. The oil and gas terminal will be able to accommodate oil tankers of up to 3,00,000 deadweight tonnes , and related infrastructure will make Kyaukpyu the region’s next petrochemical hub after Singapore. It has been reported that China has taken lease of the Great Coco Island (located 18 km from Andaman and Nicobar Islands) from Mynamar and built a jetty and other naval facilities to support a ‘listening station’ to monitor Indian Navy’s ship movements and test-firing of strategic missiles. Maritime Silk Road. This proposal announced by President Xi Jinping’s which called for increased maritime cooperation between China and the ASEAN countries to bring peace and prosperity to the countries of East Asian Region. Yang Baoyun, a professor of Southeast Asian Studies at Peking University, said that “the new Maritime Silk Road will bring tangible benefits to neighbours along the route, and will be a new driving force for the prosperity of the entire East Asian region.” It calls for the construction of ports and maritime infrastructure with China and its ASEAN partners. China has plans to invest $2 billion for the upgrading of the Malaysian port of Kuantan. China has offered a 3 billion Yuan (about $0.48 billion) China-ASEAN Maritime Cooperation Fund to develop common maritime interests including economy. Chinese Premier Li Keqiang had pledged to upgrade the Golden Decade of 2000-10 of China-ASEAN cooperation into a Diamond Decade. In May 2014 China has dedicated $1.6 billion for this purpose. India’s responds with ‘IO-5’. During 2013 former Prime Minister Manmohan Singh announced that henceforth India should be seen as a ‘net security provider to the region.’ While the boundaries of India’s ‘region’ were not specified but it appeared that the initial focus was on the Islands of the Indian Ocean. The original group was Sri Lanka and Maldives alongwith India. 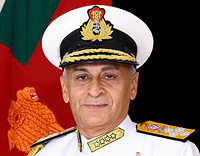 On March 7, 2014, the former National Security Advisor Shivshankar Menon, announced that the Indian Ocean island states of Seychelles and Mauritius had also joined India’s Indian Ocean security group which has been loosely termed as the ‘IO-5’. This arrangement heralds India’s role as the leading security role among the Indian Ocean islands. India has been holding joint naval exercises with Sri Lanka and Maldives Coast Guard had joined in 2012. It was also understood that this arrangement may be extended to the Bay of Bengal region in the future. IO-5 will share information and develop capabilities to counter maritime terrorism, piracy and illegal fishing. However IO-5 is no match for China’s ‘String of Pearls’ or ‘Maritime Silk Road’ in terms of scale of vision and financial investment thereby relegating India to a much smaller regional role. China’s priority is for development and expansion of maritime infrastructure as it is world’s largest exporter and second-largest importer. It has many of the world’s largest container ports and controls 20 per cent of the world’s container fleet. China has become one of the largest ship builders in the world with 41 per cent of ships by weight built in 2012. China’s Maritime interests are being translated through ‘String of Pearls’ and ‘Maritime Silk Road’. 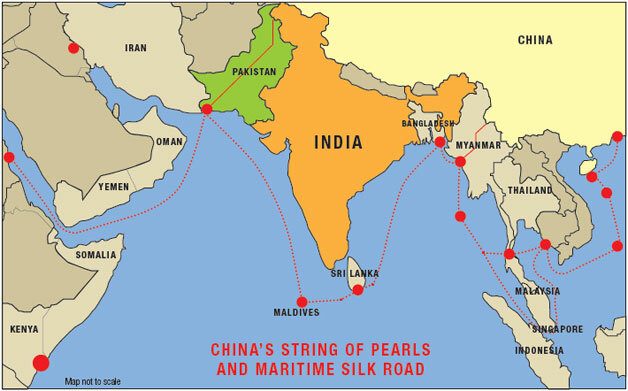 It seems now that finally the ‘Maritime Silk Road’ will also be linked with the existing ‘String of Pearls’. Both ‘String of Pearls’ and ‘Maritime Silk Road’ will provide China with naval bases in the Indian Ocean and Pacific Ocean to safeguard its strategic interests, simultaneously providing it commercial and energy security. China’s priority is to construct and run ports establish free trade zones in Indian Ocean countries to reinforce China’s deepening economic presence in the Indian Ocean region and in India’s neighbourhood.